A couple days ago, Elisha, my sister ( @animalfreak9 ), commented on one of my blog posts. She asked what the chances of her inheriting hazel eyes was. At first, I dismissed the idea as impossible. I didn’t think it could happen with my mom having blue eyes. But then I did some more research. That’s right. 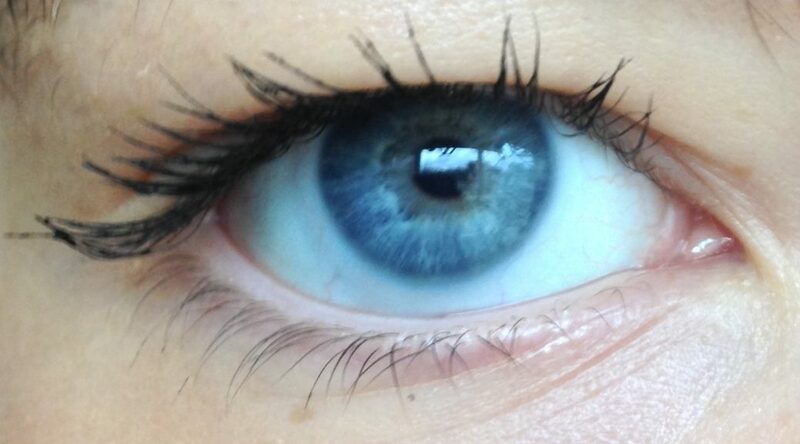 To have blue eyes you have to have 2 blue eyes alleles. That means, you guessed it, my dad needs to have a blue eyed allele! Otherwise, Elisha and I wouldn’t have blue eyes. The other allele my dad has would overpower my mom’s blue allele. Now I knew that my mom’s genotype for eye color is bb (blue eye and blue eye) while my dad must have a b allele as well. There isn’t any way his genotype is bb, though, because he has hazel eyes! This means he MUST have a hazel allele! That means that my mom is bb and my dad is Gb (hazel and blue). That results in a 50% chance of Elisha (or me, for that matter) having hazel or greenish eyes. TA DA! Keep in mind I started learning about genetics this summer. I am also 13 years old. There is a high chance that I messed up/was misinformed in some degree/read the wrong answer on the internet/am just plain wrong and am making stuff up as I go unknowingly. But, on the other hand I could be totally right! Oh cool discovery!! @alonalearning maybe you can help me understand more too – I remember learning this stuff in school but it’s been awhile so refresher is needed. Now Tomis has blue eyes and I have light brown eyes. I don’t know if they are light enough to be considered hazel though, but they are lighter than my sister’s eyes. My mom has dark brown eyes (being Vietnamese this is typical), and my dad has blue eyes. My eyes are not dark like my moms but lighter. So with Tomis having blue eyes and my dad having blue eyes, do you think our future child would have a chance at blue eyes? I always assumed that it would have brown eyes because I did know brown is a dominant gene. That may actually be a possibility! Your mom is totally Vietnamese (as far as I know). No totally Vietnamese people (that I know of) have blue eyes without having a mutation or something. Your mom’s alleles are pretty much definitely BB (brown and brown). Your dad actually has to have the alleles bb because he has blue eyes. If he was Gb (green/hazel and blue) then he would have green/hazel eyes. Not blue. That all means this: Tomis has bb, your mom has BB, and your dad has bb. Since both of your parents donate an allele to you, you have to have one of each. Your eye color alleles have to be Bb. If you put this in a punnet square, you get these results: 2/4 blue and 2/4 brown. Your guys’ baby would have a 50% chance of having blue eyes! This might be a really interesting combination if the baby inherited your slightly darker skin and blue eyes. TL;DR, Yes. 50% chance of blue eyes. I agree, we did have a baby and it had some of my darker complexion features but Tomis’s/my dad’s eyes, that would be a cute combination! Also – I love how you’ve stylized your blog. The about me page with the header that scrolls to the featured blog posts is really neat, and I like the side widgets so you can see recent comments. Now I feel motivated to change up my blog too! I haven’t really thought about this, but I think you are spot on! Great research and I can’t wait for the next one.